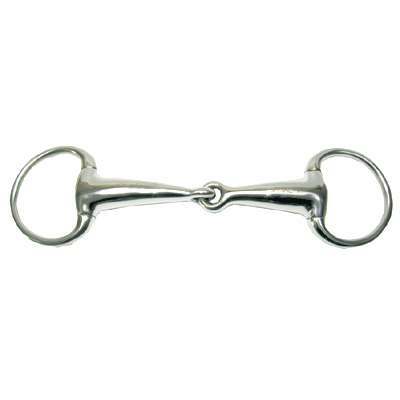 Jointed Hollow Mouth Eggbutt Bit and Horse Tack Equipment are sold here at Horse Tack Now. The Jointed Hollow Mouth Eggbutt Bit is a mouth piece that does not rotate around the ring, leaving the bit more stationary in the mouth avoiding pinching of the lips. Hollow Bits are also very popular because they allow for lighter application of pressure on the parts of the mouth. This item also Creates snapping actions between rings and mouthpiece. This item measures 2.5'' rings and 20mm mouth.